CRIME DIGEST gathered that in all, the 66 wraps of methamphetamine expelled from Bala’s private part weighed 1kg. In his reaction, the chairman of the NDLEA, Ahmadu Giade, described the incident as disturbing. 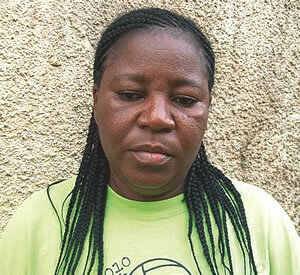 “Apart from the quantity of drugs caught with her, her route is a new development in drug trafficking. Drug barons now adopt a relay approach to drug trafficking. They wanted to use her to take the drug to another African country before using an indigene of that country to take the drug to other continents, where the profit is higher. We are not oblivious of their moves and we are prepared to nip them in the bud,” he said.